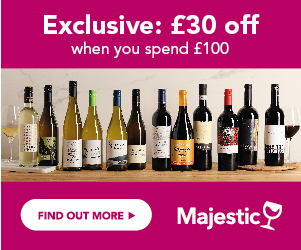 Compare the latest offers on famous Cono Sur wines from top UK merchants and supermarkets. Use our search filters, find vouchers & look for awards and reviews to balance both price and quality. Sign up for Price Alerts and we will notify you about the latest discounts on your favourite bottle. Cono Sur is the second biggest Chilean wine brand in the UK, and the largest in terms of wine production in Chile, producing 19% of all Chilean wine produced. It is owned by Concha Y Toro, who also own the brand leading Casillero del Diablo, but the brand is managed separately, and has its own identity. What Is the Background to Cono Sur Winemaking? Cono Sur was one of the earliest brands into the UK market, and has founded its principles on environmentally friendly, and sustainable wine production. Created in 1993, it is a young brand, with a very dynamic and forward thinking team. The brand is named after the location of the vineyards, ‘Cono Sur’, meaning ‘southern cone’, the southernmost region of South America. Cono Sur, created in 1993, sold 30,000cs in its first year, and swiftly built a following and strong sales base. Having purchased their initial vineyards in Chimbarongo, with over 300 hectares, Cono Sur now produces wines from all of the key valleys in the country, from Limari in the north, to the southernmost wine producing area of Bio-Bio. Cono Sur is headed up by one of the most award-winning, best known, and most forward thinking winemakers in Chile, Adolfo Hutardo. With his team of winemakers, he is focussed on pushing the boundaries of quality and innovation, whilst preserving the integrity of the brand, with their strong policy of sustainable and environmentally friendly wine production techniques. Cono Sur is also known for its pioneering projects – it was one of the first to focus on some of the lesser known, or established grape varieties, founding a project on production of Viognier and also one on Pinot Noir. In 2000, Cono Sur began its pioneering organic project, and having been the first to achieve top accreditation in the country for its environmentally friendly strategy, it still leads the field. Over subsequent years, the vineyard acquisition trail continued, with Cono Sur purchasing and establishing vineyards in premium quality wine regions, including Colchagua, Leyda and Aconcagua. Further accolades followed, and in 2007, Cono Sur became the first winery in the world to be awarded carbon neutral delivery status, based on their neutralisation of CO2 emissions from their product shipments, and has continued to pioneer such practices, moving a range of their wines to lightweight bottles, in recent years. Today, with a production of over 2 million cases, the Cono Sur winery is based on the original plot of land in Chimbarongo – a cutting edge winery, with state of the art technology, over 12 million litres of storage, and over 40,000 barrels. What Styles Of Wine Do Cono Sur Produce? Cono Sur is probably best known for its pioneering ventures with Pinot Noir, planting and developing this premium grape variety before anyone else. This was closely followed by the development of some superb aromatic whites, including Riesling, Viognier and Gewurztraminer. Cono Sur produces a unique style of Chilean sparkling wine, made from grapes grown in the southernmost Chilean wine region, Bio- Bio, which yields a fresh, elegant, delicate style of sparkling wine, produced in a cool climate, which is the best environment for sparkling wine production. Cono Sur Bicicleta – this is the mainstay and core range, with a recent revamp of the label, to portray an environmentally friendly bicycle, which workers use around the vineyards! With a wide range of styles, Cono Sur covers over 13 varietal styles, including, well known international varieties such as Sauvignon Blanc, Chardonnay and Cabernet Sauvignon, to Chile’s national grape variety, Carmenere. Cono Sur is particularly known for its pioneering developments into the aromatic grape varieties – it produces a vibrant, peach and apricot scented Viognier, and a rich, exotically flavoured Gewurztraminer, with bold, rose and lychee character, yet with a dry flavour. The Riesling is equally elegant, with a stylish lime-zest freshness. In terms of white, there’s also a zestily crisp Sauvignon Blanc, a delicate Pinot Grigio, and a cool, creamy Chardonnay. The flagship of the Cono Sur Bicicleta range is undoubtedly the fragrant, raspberry fruited Pinot Noir, which also produces a Rose. Spicy Syrah, chocolatey Merlot, rich and vibrant Cabernet Sauvignon and a venture into Argentina’s territory with a fleshy, spiced up Malbec, and then to Chile’s signature grape variety, Carmenere, a rich, flavour packed, full bodied style of red, jam packed with black fruits and spice. Cono Sur Reserva Especial – these are wines made from Cono Sur’s premium vineyards, and cover a similar range of grape varieties, with a greater degree of intensity and complexity. Cono Sur Organic – these are wines produced entirely on the organically accredited sites, and the range includes Sauvignon Blanc, Chardonnay, Pinot Noir, Cabernet Sauvignon/Carmenere blend. Cono Sur Single Vineyards – single blocks or vineyards, producing unique styles, expressing personality and a reflection of their location – there is a range of over 7 varietals. Cono sur 20 barrels – this range is a true expression of the focus on quality that Cono Sur is all about; in 1996, the company took 20 barrels of the very best Pinot Noir and created this ultra premium brand. Over the years, this top of the range selection has been widened to cover 6 classic grape varieties. Ocio – the culmination of all that Cono Sur is all about, their icon wine, and quite fittingly a superb, sumptuous and exquisite Pinot Noir, with incredible depth and complexity, from the very finest plots, and produced with exquisite care.